Watch out, Steam. EA has announced Origin, a direct-to-consumer PC download service that will serve up piping hot content from Electronic Arts and its partners, as well as social features. The service is launching today, and will come out of the gate with more than 150 games. Think of it as a rebooted EA Store with a flashy name. "Origin is a game service with two fundamental features," said David DeMartini, senior vice president of Global Online at EA. "It's a download service for the very best content from EA and its partners. It also offers a social function which, over time, will connect a player's profile with friends lists and a cross-platform feed that shows what your friends are playing and where." EA says that in the months ahead, Origin will be the place to download exclusive limited edition copies of EA games, like Battlefield 3 and FIFA 12, as well as content from EA Partners including Alice: Madness Returns and 38 Studios' Kingdoms of Amalur: Reckoning. Later this year, digital downloads of Star Wars: The Old Republic will be available exclusively on Origin. Through the Origin beta application, users will be able to find and connect with friends, see what they are playing, and digitally download and play PC games straight from EA. You can visit Origin today and sign up, set up a profile, download the desktop application, and start ordering and pre-ordering the games and content you want. PC gamers will have fewer options than they'd like when it comes to Mass Effect 3. 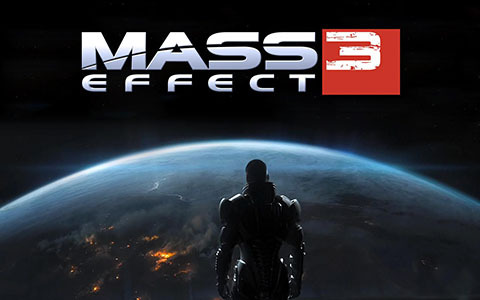 Much like other recent Electronic Arts game releases on PC, Mass Effect 3 will not be available through Steam. And regardless of what format you decide to get the game in -- digital or physical -- Origin is a requirement for playing. In a post on the BioWare forums by community man Chris Priestly, some frequently-asked questions regarding the PC version of Mass Effect 3 (launching on March 6 for PC and consoles) were addressed. Regarding a release on Steam, it's said that "during initial release" the digital version will be available through Origin and "a number of other 3rd party digital retailers," Steam not being among them. The reason for this decision is the same we've heard since the middle of last year, when we learned Battlefield 3 would not be sold on Steam: "Steam has adopted a set of restrictive terms of service which limit how developers interact with customers to deliver patches and other downloadable content. We are intent on providing Mass Effect to players with the best possible experience no matter where they purchase or play their game, and are happy to partner with any download service that does not restrict our ability to connect directly with our consumers." It's not as if Valve doesn't want EA games on Steam; quite the opposite, in fact, according to what Gabe Newell has said. The two have continued doing business together; many of EA's older games are available on Steam, including the first two Dead Space titles, which were featured in a sale over the weekend. But while Priestly's "initial release" qualification makes it sound as if ME3 could eventually come to Steam -- and perhaps it will in the future -- the continuing absence of Battlefield 3 doesn't bode well for that possibility. EA relaunched the EA Store as Origin last June. In many ways it is similar to Steam, as it sells games, downloads patches, allows you to have a friends list, and so on. Many feel it's not right for EA to bundle the software with its games, but keep in mind this is exactly what Valve did with Half-Life 2 in order to get Steam on to users computers. Of course, it's worth mentioning that Steam wasn't regarded as a clone of an existing service in the way that Origin is today, but it was also a serious hassle early in its life that prevented many Half-Life 2 owners from being able to play the game at launch. The BioWare post went on to clarify that Origin "is not spyware, and does not use or install spyware on user's machines." It also stated that there is a one-time authorization for the single-player game, with no limit to the number of times it can be installed. Only the multiplayer component requires a constant Internet connection to play. While the inability to purchase the game through Steam, which I almost always find to be a deal-breaker, and the Origin requirement are unfortunate and may scare away some potential customers, it will be hard for those who have already chosen to invest a tremendous amount of time into their character to opt to play the game on a different platform or not at all. Corrected information regarding The Old Republic's Origin requirement. EA Origin is getting in on this whole giving-a-game-out-for-free practice. Likely, in the hope of gaining more interest in the service. They're calling it "On The House" and the most recent entry is Battlefield 3 - (Plants vs. Zombies was offered up previously).